OK let me admit I have never tried Max factor nail enamels but recently I came across this particular nail shade and I couldn’t resist myself buying this color. 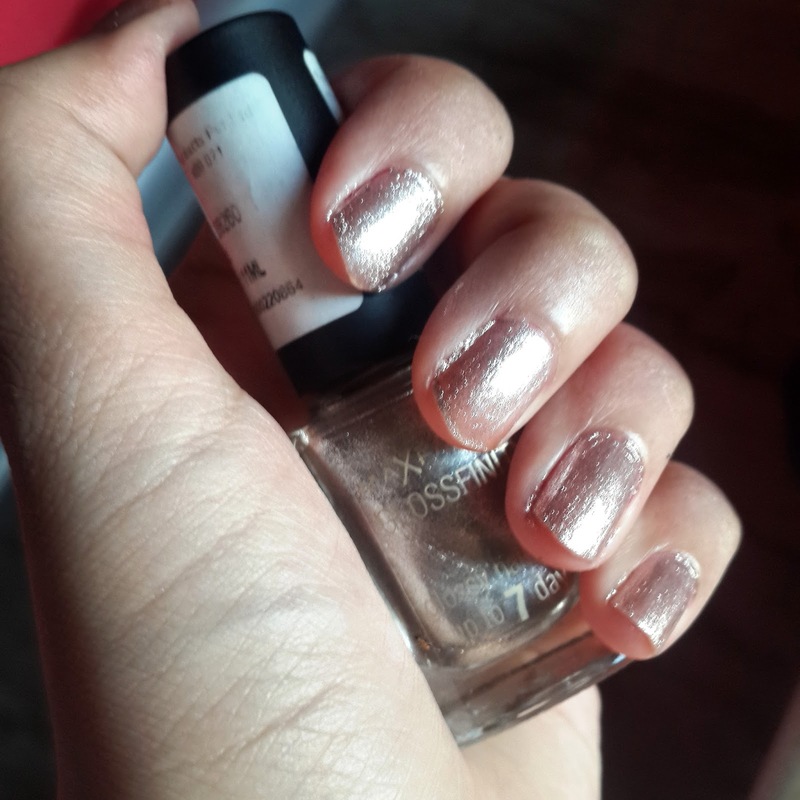 Its has become my current favourite nail enamel for Christmas . Its from max factor glossfinity range which have got beautiful colors. I choose no. 55 Angel nails which is silvery bronze metallic color. It comes in square shape bottle with thin brush applicator. 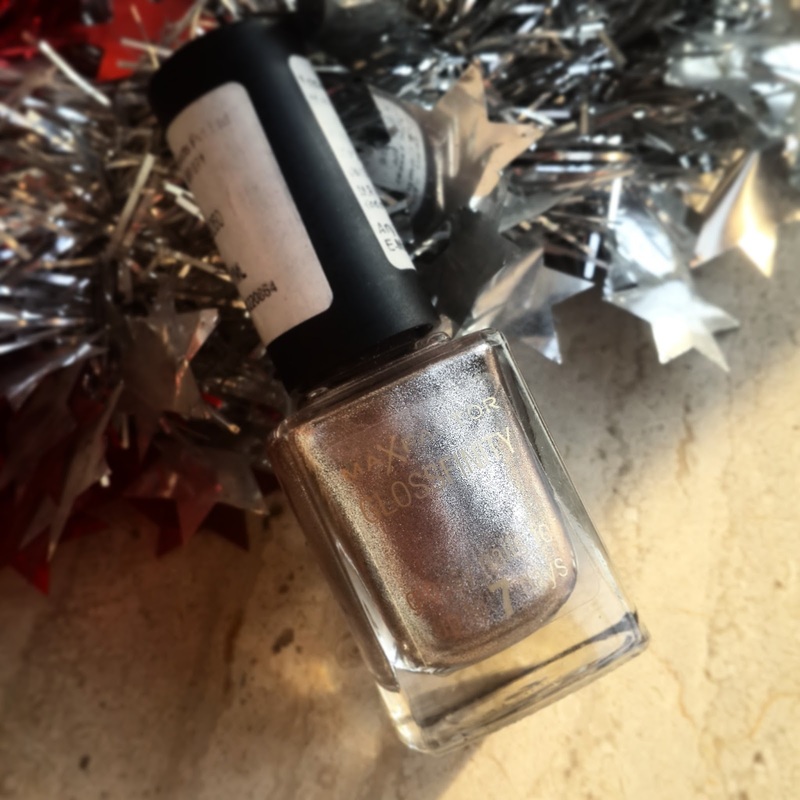 This color is just perfect for Christmas or new year parties, wedding where your nails need little sparkle. It simply can go on any outfit. Gives your nails perfect glossy effect. 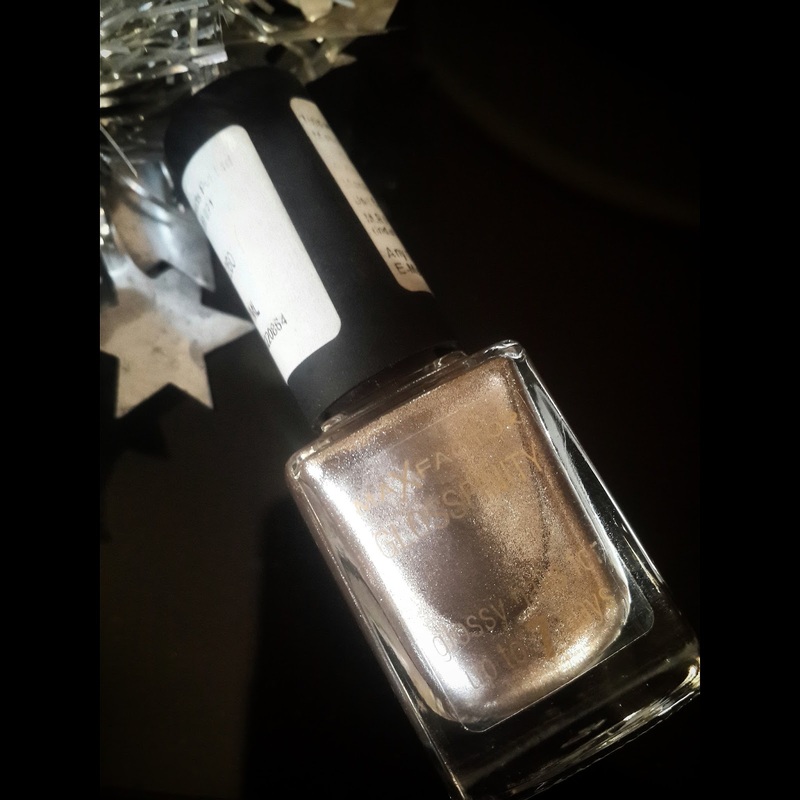 I just loved this color it was very different from the regular silver metallic nail paints. It has glitter flecks inside. With 2 coats you can get opaque finish. Because of its glossy texture It claims to last for 7 days which i felt is true. On my nails it lasted for around 4-5 days without top coat which is not bad at all compared to other nail paints. With top coat it can last for around 7 days. Generally glitter nail paints get dull after 1-2 days but this one doesn't get dull at all. Most probably it will suit almost all skin tones. It may seem pricey but color makes it worth. I think its perfect to go with metallic look which is again top trends for this season. I would also recommend to check Midnight Bronze shade. This was just one coat applied to nails. The color in this picture is not so perfect its a gorgeous color in real. Some how my camera today couldnt give good picture. I Would recommend this if you really looking for some glittery nails on your new years eve or wedding party. This would go with all evening dresses even traditional outfits.